Sold now at BoxLunch, here we have this very cool men's Toy Story inspired zip-up hoodie! I was absolutely thrilled to have received this recently as a gift from BoxLunch and I sincerely appreciate the opportunity I have to review it. 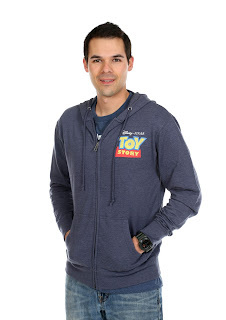 The quality of this zip-up is top notch. It's soft, it's fitted, it has distressed vintage looking graphics...everything I want in a hoodie! 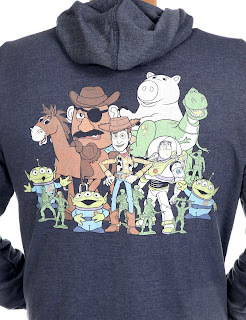 I really like how the front keeps things simple with the iconic Toy Story logo, while many of our classic toy friends populate the back. Color is heather blue-gray. This is a hoodie that will be getting a lot of use this fall/winter. I really love it! I'm sure my fellow Toy Story fans out there will love it too. 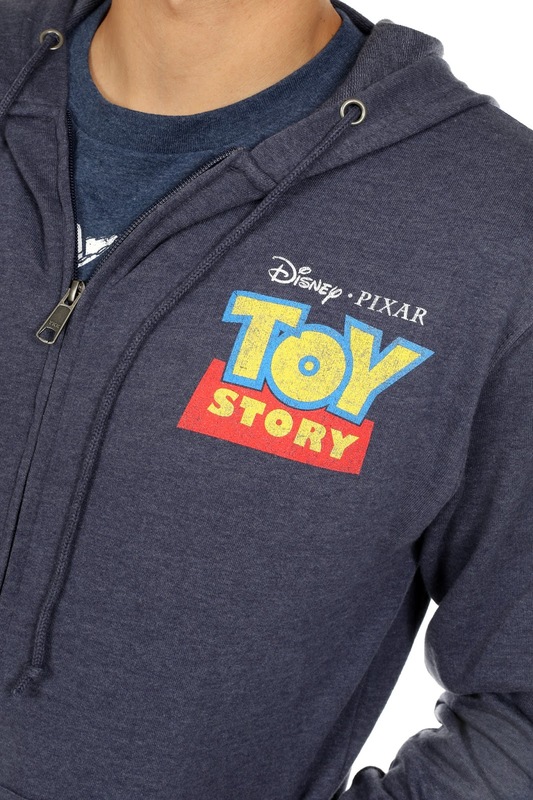 If you're interested in adding this one to your collection, be sure pick it up online at BoxLunch right HERE today! Retail is $54.90. A huge thanks again to BoxLunch for sending this over. If you like what you see here, you'll definitely want to check out their store filled with many other pop-culture inspired gifts/collectibles and apparel. Be sure to hit them up on Twitter, Instagram and Facebook and remember that for every $10 you spend, BoxLunch donates a meal to a person in need through their partnership with Feeding America.